I know it's still January but I've found my dream Spring/Summer shoe. Crazy? No. There is no harm in planning ahead when it comes to future footwear especially as I start most of my outfit choices from the shoe up. And when they're as gloriously springy as this, why wouldn't I be dreaming of these adorning my feet? Sorbet shades are going to be all over the place when the weather starts to warm up and I want these Georgia Rose shoes to be on my feet when they do. 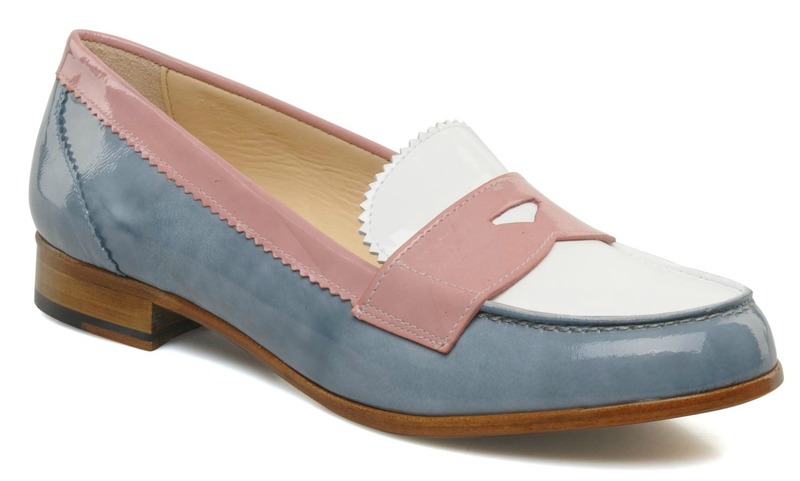 They're perfect for introducing a little pep of colour and will go with pretty much every trouser shape out there as well as looking library chic cute with a knee length full or A line skirt. I'm picturing some French Riviera chic with lots of pistachio gelato. The gentle sea breeze in your hair and some witty repartee with a handsome debonair suitor. Delicious. Need them as much as I do? They're £126.65 at Sarenza.